So far, Cars 2 is leading the pack as the most commercially crass movie of the decade. Although up to this point I’ve been a big fan of the Pixar/Disney John Lassester magic, I just can’t swallow the Cars sequel. Simply put, Cars 2 appears to be more about stock holders than stock cars. It’s a movie made for the purpose of increasing global Disney theme park attendance and merchandizing options. It might be marketed as a fun thrill ride of a movie, but it’s actually a passenger tram created to ferry as many people and dollars as possible towards the nearest Disney vacation destination. To prove this assertion, I’ll list some of the more egregious signs of Cars 2’s crass commercialism. 1. Once the “plot line” of Cars 2 is resolved, the movie ends with race cars from around the world gathering at Radiator Springs for a race. This ending was obviously inserted to coincide with the opening of Cars Land at Disney’s California Adventure. One of the key attractions of Cars Land will be a giant race through a life size replica of Radiator Springs. For all practical purposes, Cars 2 is the prequel to a massive theme park renovation. 2. One of the key elements of Cars 2 is the issue of international intrigue and espionage. Consequently, the movie quickly abandons Radiator Springs and instead heads to numerous exotic locales around the world. Tokyo is one locale that takes up a bit of screen time. Which got me thinking, “Why would they choose Tokyo? What makes Tokyo the right place to carry out this mystery?” After googling “Disney Theme Park Locations Worldwide,” I got my answer. I don’t know if Tokyo Disney has a Cars Land yet, but I’m betting they soon will. This also explains why the movie takes an unexpected turn towards Paris. Hmm. . . I wonder what’s in Paris that would make Disney pick this animated location. You guessed it, Disney just happens to have a theme park in Paris. How do you say Cars Land in French. . . Terrains Voitures? 3. 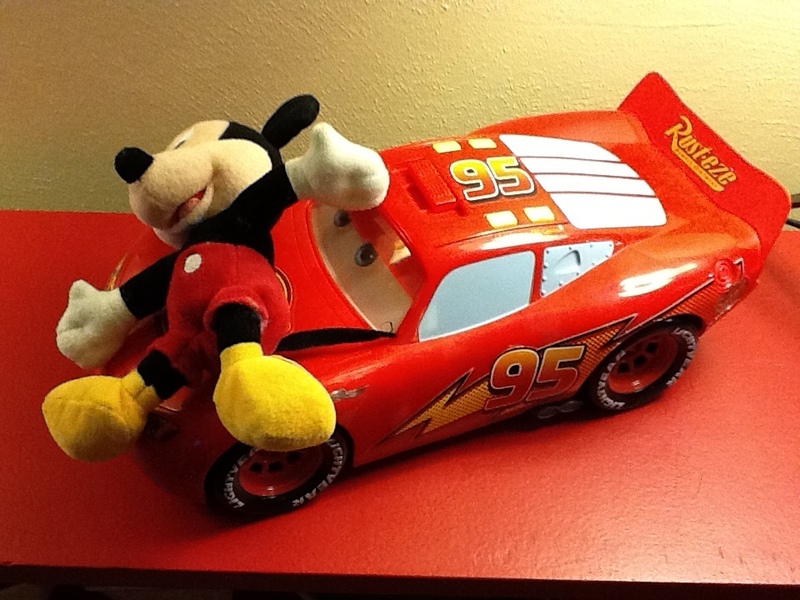 Although the first Cars movie made less in the theaters than other Disney/Pixar films, it became a movie cash cow, earning almost 10 billion dollars in DVDs and merchandizing. This kind of money was more than an incentive to make a sequel, it was a mandate. Consequently, Cars 2 is not so much a movie about vehicles as it is a vehicle for monetizing every single aspect of the Cars franchise. Honestly, did anyone leave the first Cars movie desiring a sequel? No, sequel notions were spawned from spread sheet imaginations. John Lasseter and the Pixar/Disney family have truly created some magical masterpieces of family film fare. Much of this movie magic deserves to be encapsulated, honored, and re-envisioned by Disney imagineers. There is certainly nothing wrong with turning a favorite movie into a favorite theme park ride. Who doesn’t want to fly over Neverland along with Peter Pan. Even so, it seems that John Lasseter has been spending a bit too much time looking at the big picture of the Disney empire. It appears he is growing more as a great film monetizer than as a great film maker. Unfortunately, he’s spent so much time looking at the big picture, that the actual moving picture is starting to suffer. One hopes this is a lapse of judgment, not the trend of an empire builder. Bottom line. Cars 2 wasn’t that bad of a film. My kids liked it and I thought it was a fun ride. However, on the ride home from the movie, I couldn’t escape the fact that I had just experienced one of the world’s most expensive infomercials.